1: There isn’t enough content. It is true that in an effort to lure people back into theaters, the studios have been pushing 3D hard lately. Unfortunately, it’s not as simple to produce a 3D live action film as it is a 3D animation. To achieve 3D in animation, one instructs a computer to render a second channel of video slightly offset from the first.This is not significantly more onerous than creating an ordinary 2D CG animation. 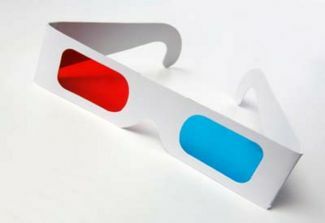 For live action films, however, 3D requires special cameras that are heavy and inconvenient to use. The practical upshot of this is that most of the 3D films being produced today are animated. This, of course, has implications for watching 3D films both in the theater and at home. If 3D continues to fail in winning over live action filmmakers, there simply won’t be much to look at. 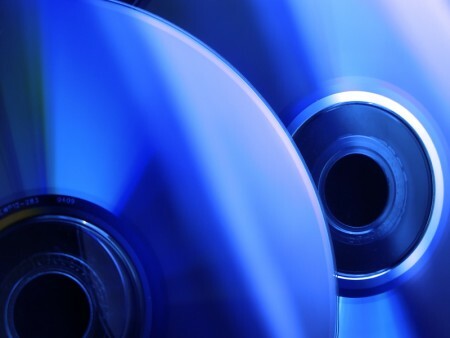 And while the studios have promised a handful of (mostly animated) 3D Blu-ray releases for 2010, there’s just isn’t enough content available now to make it a must-have home theater technology. 2. The upfront cost of 3D hardware is too steep. The reintroduction of 3D into mainstream movies has seen a modest degree of success over the past few years. Theaters have been able to charge more for tickets to 3D screenings, which has helped them in offsetting the exorbitant cost of upgrading their projection hardware. But 3D still accounts for a mere fraction of overall ticket sales. This is because even with higher ticket prices, exhibitors cannot afford to make all of their screens 3D-ready. The cost of upgrading is also a problem in the home theater market, where HDTV’s have finally made their way into a majority of American homes. The vast majority of these households have only recently bought in. Is it really reasonable to expect people who just shelled out serious money for their new flat screens to go out and buy another $3000 TV? The value-add, especially considering the endemic lack of 3D content, is just not enough to justify the purchase. Even if the consumer in question did have the money, they would be wiser to spend it on upgrading their sound system, before going to 3D. 3. The quality of the experience is inconsistent and problematic. 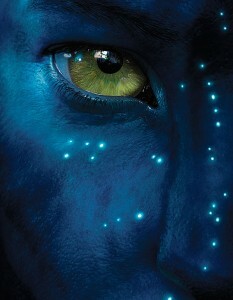 I saw Avatar in IMAX 3D, which is the oldest of the 3D technologies currently in use. I then went and suffered through all 172 minutes of it again in RealD. The IMAX 3D experience was not great. First, the glasses were recycled and although I was seeing the film on opening day, they seemed somewhat warped. Even after I had changed glasses, the 3D illusion was broken every time I moved my head. It was exhausting to have to hold one position for close to three hours, but it was either that, or stare at a blurry image. I walked out of the IMAX 3D screening with a crick in my neck. The RealD screening did provide a better overall 3D experience. The illusion was not broken by head movements and so I was able to watch it in a more comfortable position. Unfortunately, when I left the RealD screening, I had a headache that lasted for an hour and a half (more on this special 3D headache later). Suffice to say that even the most recent implementations of 3D leave something to be desired. 4. The glasses are a literal barrier to entry. While there have been many advances in 3D technology over the years, one thing that has not changed is the need for glasses. Depending on the particular type of 3D technology, these glasses work in slightly different ways, but the reliance on them to send offset images to the brain is still a mainstay of any 3D viewing experience. 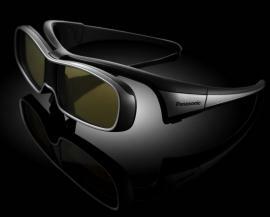 This is also true of the latest 3D HDTV’s which, we learned at CES, will ship with battery-powered 3D glasses. This is an annoyance at the theater, but can you imagine having to put on a pair of glasses to watch TV in your living room? And what do you do if you wear reading glasses? How about when friends come over to watch the Super Bowl, or theOscars? The glasses make a hard sell even harder. 5. Filmmakers, James Cameron included, do not really understand 3D. Film, like photography and perspective painting, is already a three dimensional medium. 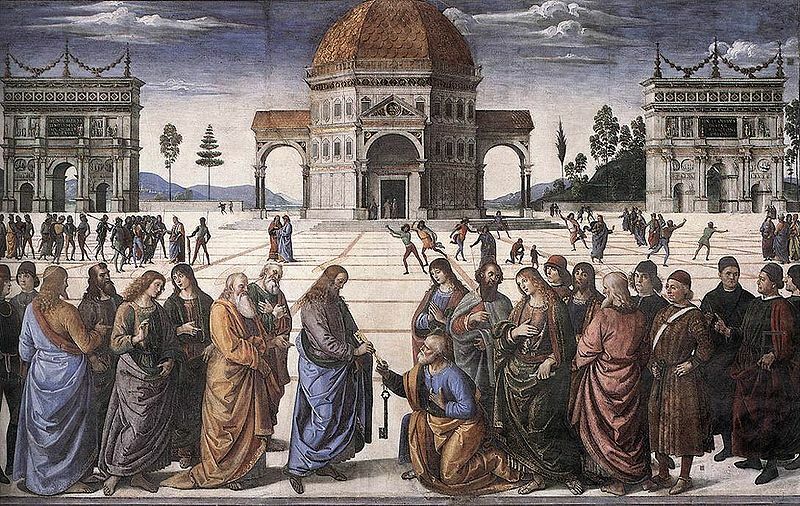 Monocular cues like linear perspective, occlusion, and shadow, to name but a few, all provide the same sense of depth perception in a film, photograph, or painting as they do in real life. It is true that binocular cues add dimension to the other depth cues (when looking at objects up to 100 feet away), but it is a subtle effect and not the only way we see depth in the world or in film. While many filmmakers have an intuitive understanding of the principles of human perception, it’s not something that they study formally. Most get by in 2D, because there are established filmmaking conventions that they conform to which happen to play well with human perception. Unfortunately, 3D hasn’t been around long enough for such conventions to develop. 3D filmmakers end up using 2D film techniques that induce depth cues which are then contradicted by some of the 3D binocular cues that are layered over everything. When your brain is presented with such conflicting depth information, it will choose one version over the other, but when such conflicts happen many times over the course of a few hours, you end up with a perception headache. There are many other factors that influence our perception of 3D, including the focal length of the lens, the composition of the shot, and the movement of the camera, but modern filmmakers don’t seem to be aware of the effects of these important factors on the perception of their films. This is why watching a 3D movie doesn’t really feel like being there, it just feels like its own, somewhat annoying, thing. The push for 3D comes from a confluence of the old desire to create a more immersive cinema experience and the contemporary need to get people excited about going to the movies again. 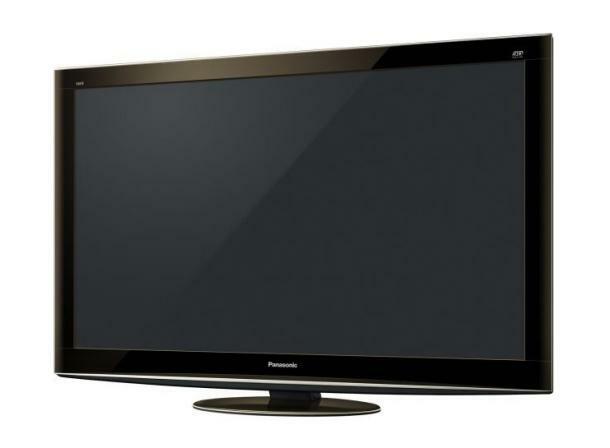 Unfortunately, the current 3D technology fails to deliver on the former and so it is destined to fail at the latter. A much more fruitful approach would be to adapt Douglas Trumball’s Showscan technology. What Trumbull demonstrated was that by shooting and projecting film at higher frame rates, he could create a much more immersive and realistic experience than what we get with a traditional 24 frames per second projection. His system, which involved 70 mm film shot and projected at 60 frames per second was dismissed as impractical and excessively expensive. In the digital age, this objection is no longer relevant. It is already possible to design reasonably priced digital cinema cameras and projectors that shoot and project at high resolutions and fast frame rates. This, it seems to me, is the next logical step in the evolution of cinema. Not the gimmick that we now call 3D. ← iPad: What Is It and How Would I Use It? Anyone? 1. there’s more content made all the time, and now talk of a 24/7 3D channel on American cable, so it means more productions are on the way. 3+4 the technology is at its infancy. give it a couple of years, will you? 5. same thing – 3D cinema is in its infancy. I say it wil become a serious market force not when the TVs become affordable, but when it gets combined with more and more interactive options where hand gestures and such organic cues are the natural way to navigate the interactive data. Ira-The content problem is not simply due to the fact that it’s early in the technology’s life cycle. There are technological problems that have not been overcome in 3D capture yet. The 24/7 3D channel that you speak of does not exist and if they’re silly enough to try it at this point in time, it will have to fill its line up out with reruns.Not to mention that due to bandwidth constraints, they will have to send it at half the resolution of HD. I can’t see something like that lasting more than six months.The software that guesses 2D into 3D is a bad joke. Pathetic really. It just doesn’t work. Costs only go down if there is enough market demand to make manufacturing cheaper. This will not happen for the current implementations of 3D. Contrary to common belief, 3D is not in its infancy. The basic technology that underlies 3D today has been around for a very long time. I agree that more immersive cinematic experiences are on the way, but this version of 3D is not that. Nurlip-The painting is an illustration of the fact that we can see depth even in an otherwise 2D medium without the addition of stereoscopic cues. I agree whole-heartedly with Ira and Nurlip – this article had weak evidence. Technology, and its costs, is only limited by time. Although, I must admit, the title was good in that it was “controversial” enough to lure me into reading it. Good discussion opener! Given recent blockbusters, I beg to differ. Your opinion amounts to squat in comparison to the box office revenue, which, at least for Avatar, clearly states otherwise. I have to agree that many of these reasons are very poorly supported. Especially #1 & #2. And #4 is debatable and certainly contra-indicated by the amount of money 3d movies are making at the box office. I agree with #3. This is more than likely a temporary situation as the technology improves, but 3d to me is still not there and most of the time more of a distraction than an engaging enhancement. I found myself, though liking a few shots, mostly thinking during my first viewing of Avatar that I wished I could simply watch it in glorious widescreen 2d. What I find both intriguing and yet again poorly argued is #5. It is very possible that there are fundamental concepts that aren’t being understood when it comes to presenting 3d moving images, but without any concrete examples your position is nothing more than speculative. When you add to that two inaccurate understandings, one of monocular viewing and the other of the filmmakers you criticize, your argument further suffers. Binocular depth perception or vision is only good to about 13-16ft from the viewer, not “up to 100 feet away”. Anything beyond that limit is monocular depth perception which does indeed use other clues to determine depth. I work for a company currently engaged in the conversion from 2d-to-3d process you so despise. We understand the problems inherent in 3d presentation, including not creating depth perception in objects further than 16ft away. Second, calling out James Cameron as not understanding 3d and then presenting alternative solutions he championed *two years* ago, doesn’t do much to bolster your claim of ignorance on his part. A simple search would have turned up this Variety article (http://www.variety.com/article/VR1117983864.html?categoryid=1043&cs=1), published April 10th, 2008, in which he explains the futility of 4K and the need for 48fps. So although I find the proposition of #5 interesting and would love to see an entire in-depth post on its investigation, you’ve certainly fallen far short of making your case here for any of your points. Christopher-Thanks for your thoughtful response. Time will tell whether the first few points have any merit. I believe that these are the kinds of factors, especially in a down economy, that could be fatal to an emerging technology. Good to see that you agree with my 3rd contention. If the technology does improve, I will have to reevaluate my opinion. For example, if it improves to the point where 3D glasses are not needed anymore, I believe we would be talking about a completely different technology. Regarding concrete examples-I was trying to keep the article intelligible to the average reader, but I’d be happy to furnish you with some more specifics here. Consider the rack focus. When you layer 3D over a shot containing a rack focus, you are actually creating a very perceptually confusing experience. Your eyes naturally want to follow the focus pull of the lens, but the 3D keeps insisting that there is depth. The depth effect that you get with the current 3D technologies is most apparent in a medium shot, but it’s very unnatural. It feels like you are looking at cardboard cutouts as opposed to real objects in the world. As far as binocular depth is concerned, I also used to think that it only extended out to about 15 feet, but when I looked it up in what many consider to be the bible of Neuroscience (Kandel and Schwartz’s The Principles of Neural Science), I found it to actually be 100 feet. Thanks for the link. It’s good to see that Cameron understand the benefits of higher frame rates, but my criticism of his overall perceptual ignorance stands. All you have to do is watch Avatar to see that he doesn’t really get it. He doesn’t understand the ways in which classical filmmaking techniques are influenced by and in turn influence the 3D experience. But the real problem here is much deeper. The whole idea of artificially trying to recreate binocular depth by using these tricks is wrongheaded. It’s just not sophisticated enough for human perception. What about 2d to 3d upconversion?